Mediterranean Solution is a company composed by a small but extremely efficient and reliable group of professional teachers. We collectively have many years of experience in the language we teach and our profile is strictly linked to art and culture. In particular we focus our work teaching on Skype and working on translations. In our work we apply professionalism and lots of enthusiasm and flexibility in order to achieve the goals our customers needs. We have a teaching degree, we want to offer a top service to our clients at a reasonable price. The creator and the heart of the company is Fabrizio Bianchini, a multi skills person, who now divides his time between managing this company, teaching and translating, and working on social and institutional art projects. Mediterranean Solution offer Skype language lessons, a reliable translation and interpretation service as much as we are twined with other top companies in terms of organizing trips and special events related to the Mediterranean Area. We are constantly evolving to offer a high standard service to our clients, we never stop scouting!! If you have any questions and you do not find the answer on our page please send us an email, we will have the solution to your request!!! 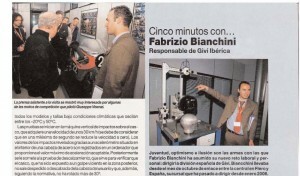 Fabrizio has a wide experience in many fields and countries. During his career, he worked in many fields, dealing with different kinds of environments and people all around the world. These experiences allowed him to understand the new business trends, firmly related to the Internet and its tools and but never loosing the importance of the human touch. In fact, even though technologies are leaders in the development and evolution of the market, the main pillar of a business is still the customer and his/her needs/goals. For this reason we offer them a unique and customized service. Mediterranean Solution is intentionally made by a small group of professionals and our customer service is extremely important for us, in order to manage this human touch in a better way both inside the company and towards our customers. We want to be a market niche, we want to be technological but at the same time human and ready to solve every kind of doubt/issue our clients may have. We do not stop at the need and budget of a client but we address to the person. Fabrizio used to be a marketing manager in Givi, an Italian multinational worldwide leader on motorcycle’s accessories. He used to be the Spanish branch’s manager, based in Barcelona. 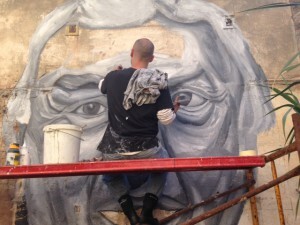 In recent years, he has put all his efforts into becoming an international visual and sound artist (www.jupiterfab.com) working on social projects. Every person who works in Mediterranean Solution has a similar profile, we are specialized in the field we work and we are attentive to students/customers’ needs and problems. We all have a specialization in some artistic or cultural fields to offer our students/customers a unique approach to our native language. Give a try!! Mediterranensolution is here for you! Contact us and we will be happy to help you! We offer much more of what we studied and what we worked at; we customize our service to offer Solutions to all our customers around the world!